Apple's iCloud has been foiling dumb criminals by automatically uploading celebratory selfies to the rightful owner's online storage. These two forgot to check the settings on the iPad the stole when they recorded video of themselves showing off their cash at a Burger King. Dorian Walker-Gaines, 20, and Dillian Thompson have each pleaded guilty to a felony charge in connection with the theft of cash and assorted electronic devices from a truck parked in front of a Houston home. After stealing the items from the unlocked car, Walker-Gaines and Thompson celebrated in a nearby Burger King. 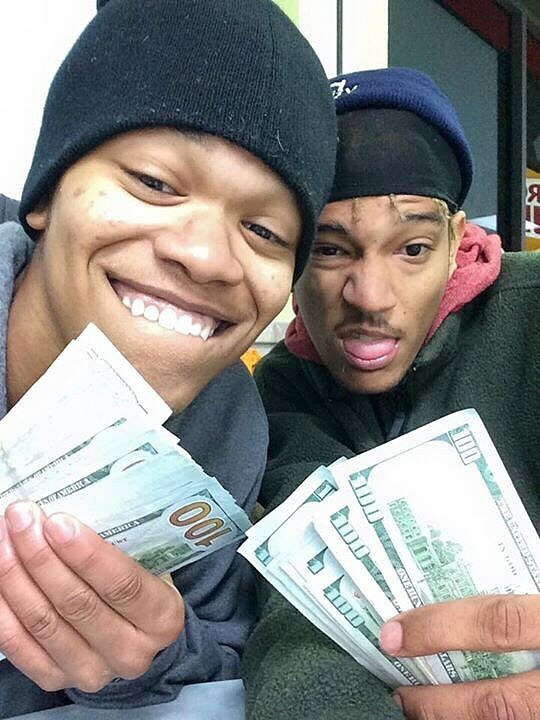 Using the stolen iPad, the pair posed for a series of photos showing them displaying fans of stolen $100 bills. What the duo did not realize, however, was that their post-heist selfies were backed up to Stewart Schaefer’s iCloud account. Upon discovering the incriminating pictures, Schaefer provided the photos to cops. Walker-Gaines and Thompson were each sentenced to five years of community supervision, which includes random drug testing and prohibits the consumption of alcohol.